Over the past several years, our region has faced numerous hazards such as snowstorms, derechos, tropical storms and earthquakes, and we’re always “on alert” for other disasters, natural and otherwise. When disaster strikes, our first responders (police, fire and EMS) can’t always answer every call in a timely fashion. That’s why it is really helpful for the benefit of our own households and for the sake of our neighbors to take the time to plan, prepare and develop skills and abilities to help one another in times of need. 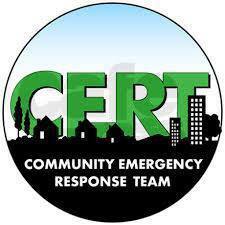 To that end, Cheverly CERT is a young community organization formed to educate and assist Cheverly residents in preparing for the worst, hoping for the best and assisting our neighbors when the need arises. CERT training is a national program and has been offered by FEMA through various state and local agencies for about 20 years, and it’s open – at no charge – to anyone who wants to complete the coursework. Some basic courses are one evening a week for several weeks, others are done over a single weekend. Many who complete the course go on to volunteer with local CERT organizations, while others incorporate their new skills into a family or neighborhood preparedness plan. If you join Cheverly CERT, you will receive basic-level training in the following areas: Emergency Preparedness, Disaster Medical Operations, Fire Suppression, Light Search and Rescue Operations, CERT Operations/Incident Command System, Disaster Psychology, Terrorism Awareness and Disaster Simulation/Skills Review. The training is coordinated through Prince George’s County Office of Emergency Management; and periodic training sessions and drills are available throughout the year. Almost anyone 18 and up can take the basic CERT training. There is also a Junior CERT program available for teenagers. And the training does not only apply to CERT members! If you run a business, school, household or organization of any kind, this training is universally applicable. Sign me up! When will it start? We have monthly meetings on the third Thursday of every month from 8-9pm at the American Legion. You can check our Facebook page (www.facebook.com/CHVCERT) and sign up for our email list for special volunteer or training opportunities and relevant preparedness information as it comes available. If you would like to participate in the basic CERT training course, you may contact chvcert@gmail.com for more information on the next training. There are also many advanced training opportunities available such as WMATA metro training, advanced Search and Rescue, etc. Cheverly CERT will work under the same CERT structure, training, policies and procedures honed over the past three decades across the nation. If you would like to learn more, please take a look at the following websites for further reading on the history, successes and training programs of CERT.